Another book acquired in February 2012 through a gift from our anonymous donor: the first solo printing of Sappho’s poems. 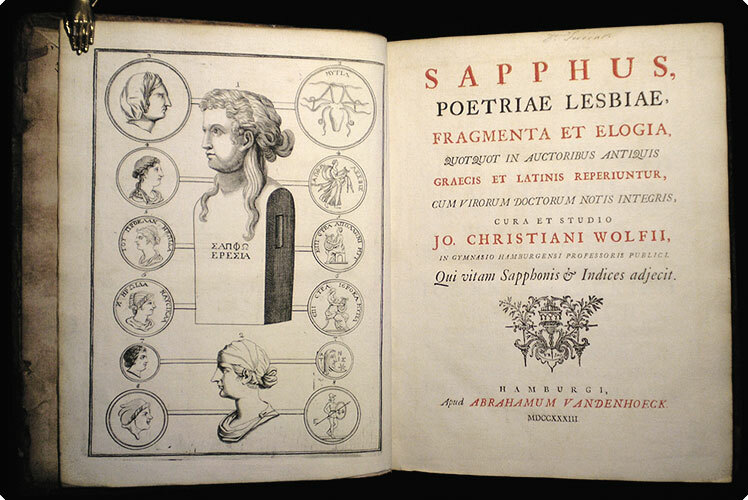 Up until Abraham Vandenhoeck printed this book in Hamburg in 1733, Sappho’s poetry had appeared only in multi-author collections like this one from 1600. 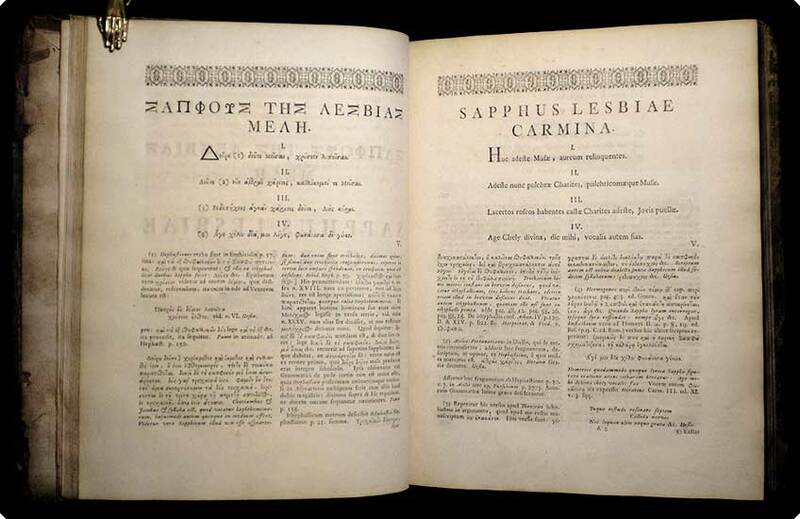 1733 may seem awfully late for a solo Sappho, but not when you remember — as CC Classics Professor Owen Cramer reminded us — that the majority of her known work wasn’t discovered until the late 19th century. Our new book has Greek and Latin on opposite pages and an elaborate frontispiece with a bust of Sappho surrounded by ancient coins. 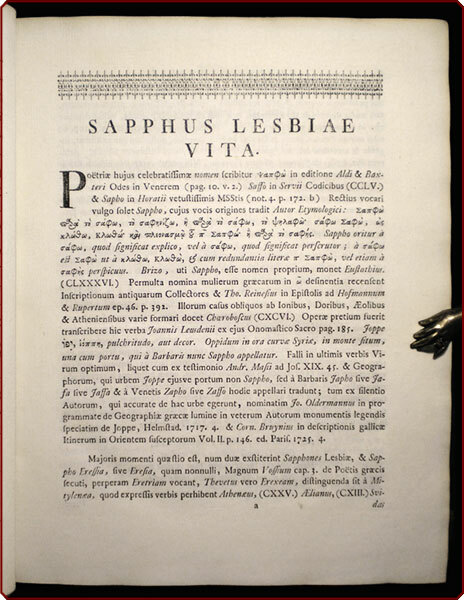 We don’t know how the editor, Johann Christian Wolf, was able to compose a 32-page biography of Sappho (born ca. 615 B.C. ), but we commend his effort. With the ownership signature of Michael Wodhull (1740-1816), poet and translator of Euripides. Colorado College students, faculty, and staff have access to much of Wodhull’s work in paper at Tutt Library or via Eighteenth Century Collections Online. This entry was posted in new acquisitions on March 19, 2012 by jessyrandall. I’ll add to that “late nineteenth century” (the reference is to the Oxyrhynchus papyrus finds, a by-product of British colonial rule in Egypt)–more was found in the 20th century, and the latest just lately, in century 21.